Publisher: Melbourne Books. Heavy-duty hardcover (over 1kg), 300 pages, colour throughout, 300 colour photos and figures. 180 x 225mm, $49.95. Rowan Reid (B.For.Sci. & M.For.Sci.) is a forester amongst farmers. 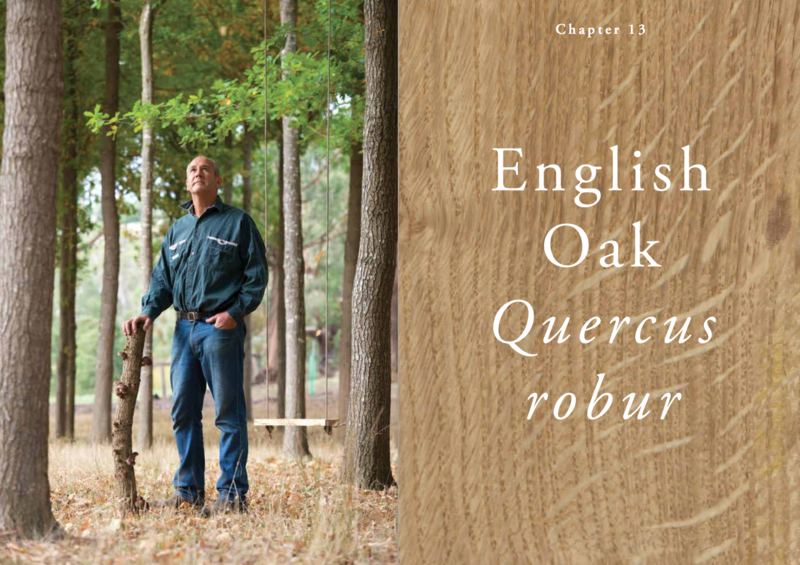 His passion for trees began as a child in the coastal eucalypt forests of southern Victoria and has led to a life teaching and working with farmers around the world. Rowan won the 2001 Australian Eureka Prize for Excellence in Environmental Education for his farmer course (The Australian Master TreeGrower), which he continues to deliver around Australia and internationally (Africa, Timor Leste, Indonesia etc.). 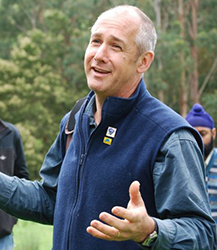 A Senior Lecturer at the University of Melbourne for 20 years, Rowan continues his academic teaching and research as a Senior Fellow of the university and the managing director of the Australian Agroforestry Foundation (a not-for-profit organisation). 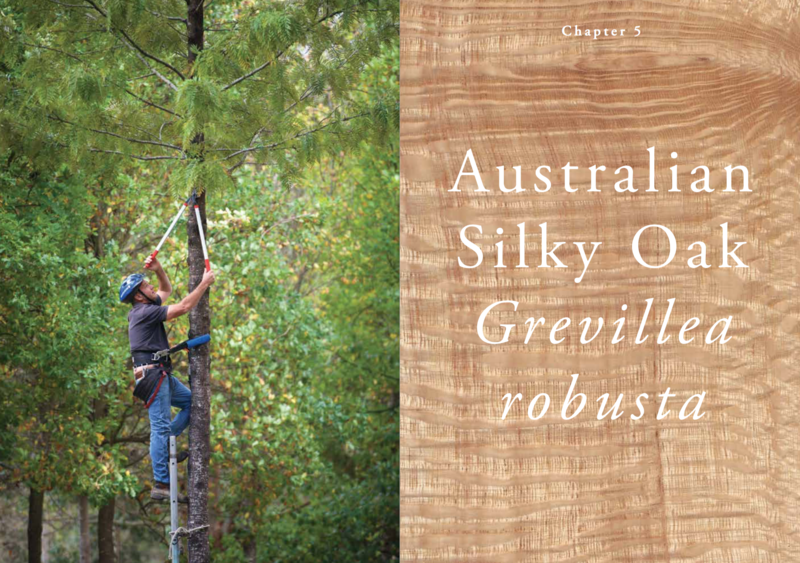 Since the publication of Agroforestry in Australia and New Zealand (1985), Rowan has written or co-authored eight other books and is an internationally recognised leader in farmer education and extension. Most importantly, Rowan is also a farmer and tree grower in his own right, with a family farm in the Otway Ranges of southern Victoria where he helped establish one of Australia's most successful Landcare groups, the Otway Agroforestry Network. More than 10,000 visitors have toured his Bambra Agroforestry Farm, which is set up as a 42-hectare outdoor classroom for farmers, scientists, students and tree lovers, and a living laboratory for his own learning. I couldn't believe what I was reading when I first opened your wonderful book. Your book is inspirational. 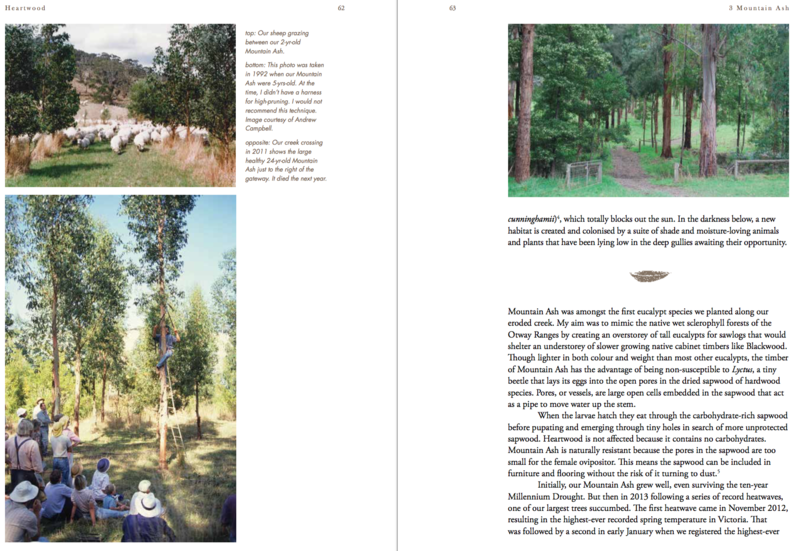 It is so well written and easy to read” (retired carpenter, timber lover and surfer, Qld. I am half way through the third chapter and enjoying the read enormously. I think your mix of valuable and practical technical information and personal life stories and experiences makes the book a wonderful text. 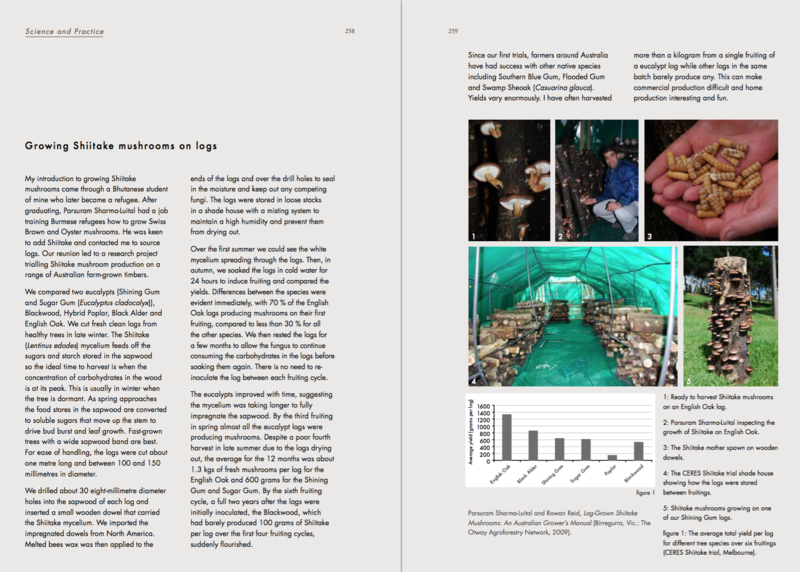 I'm loving Heartwood - very inspiring and a beautiful example of book production. We have planted 1000s of trees over the years for shade, shelter and now firewood but never for timber, so this might be the boost I need. Well done on a monument to trees, farms and timber. I think the book is very good. I'm 2/3 of the way through and enjoying every chapter. It will be a reference book for the future. I love the book. Such a nice experience to sit in front of the fire with it! The book is excellent, thank you. 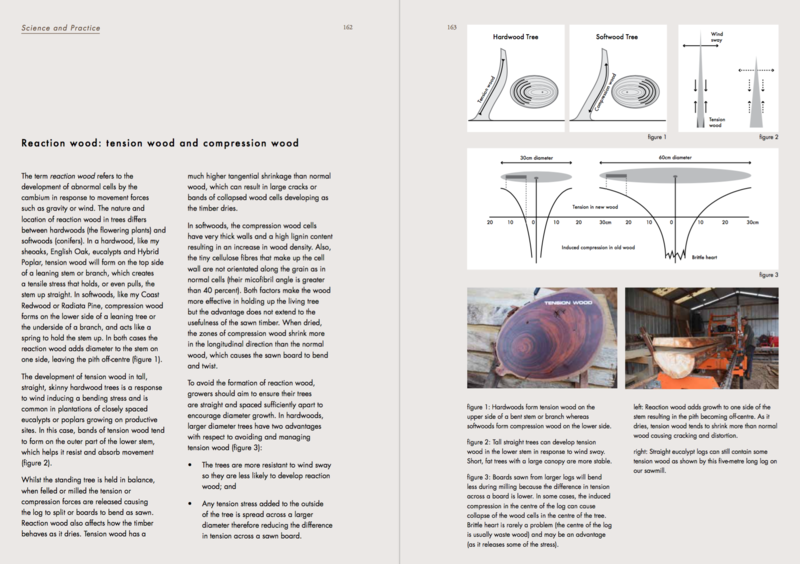 Its great getting a personal and philosophical perspective on tree growing, revegetation and landscape repair and enhancement combined with your wealth of experience in the more technical aspects of tree growing and species selection and uses. I do genuinely enjoy the read! The book arrived only on Friday, and I LOVE it! 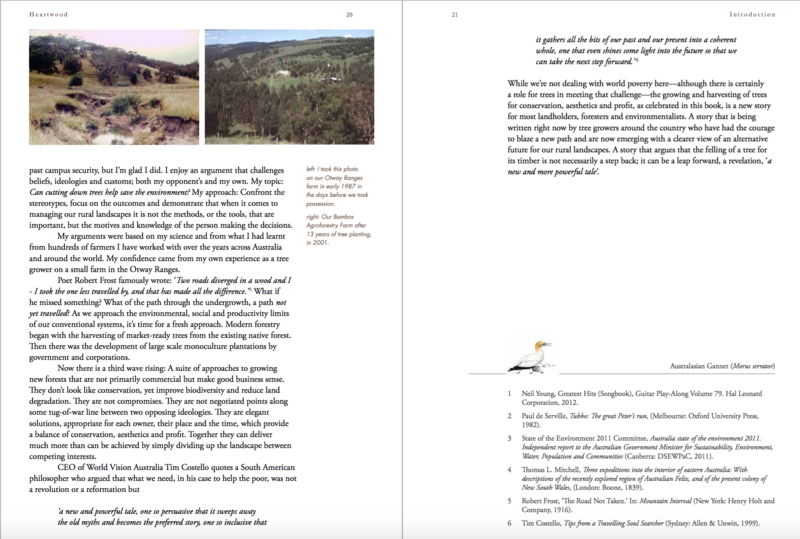 Loving the book, its beautiful, accessible and embracing of my nascent desire to grow trees in the ways you're describing. There is a great mix of philosophy and family involvement which is the interesting stuff for me. There is also enough tech stuff to keep the pure Foresters happy. Love its layout. Bit size chapters with hidden knowledge. Inspirational and I am going to dedicate much of farm and crop production to include trees. For logs and future beauty or leave cut decision to my child. Your book is amazing. A perfect mix of enthusiasm and science. Your authenticity shines through while sharing your knowledge in a very accessible way. You should be proud of your efforts. A true accomplishment. It is a fantastic book! - beautiful to look at and a really nice feel to it. I love this beautifully written book about life, love, family... and trees of course. Book is excellent. Haven't been able to put it down yet. I read it in one sitting yesterday and absolutely loved it. Your book really helped me picture the journey I may take and brings my imagination to life when I look at photos on Domain etc.